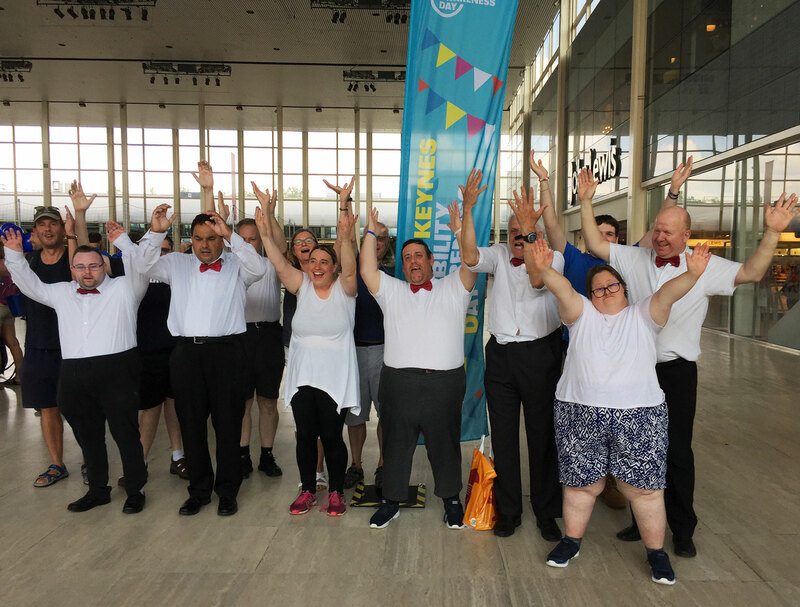 We had such a great day at Middleton Hall in the Centre MK this weekend celebrating Milton Keynes Disability Awareness Day (MKDAD). Throughout the month we have been involved in many events aimed to celebrate our varying abilities, raise awareness and challenge perceptions about disabilities. One of our proudest moments was our participation in the You See Me Moving Forward exhibition in which we showed 25 pieces of art. On the official day, our residents had the opportunity to share a snippet from the GIV project and then we enjoyed the rest of day as we were entertained by a variety of other organisations showcasing their many talents, including street dance, gymnastics, and songs!